Brunch is a phenomenon that knows no geographical boundaries. And while it may not possess the earned (and at times extreme) reputation for a weekend noon time meal of cities like New York or Portland, Seattle can brunch with the best of them. Here, the Queen City’s best brunches. Named after chef Eric Donnelly’s favorite fishing spot in Montana, this airy, two-level restaurant specializes in exceptional seafood. The house benedict, for example, piles crispy oysters, bacon, eggy brioche, and lemony hollandaise sky high, while local jumbo prawns pair perfectly with buttery grits. Even the brunch booze pays respect to the sea: You can order a bloody mary made with clam juice, and have it garnished with a poached prawn and raw oyster. A pick for F&W Best New Chef this year, Edouardo Jordan draws from his diverse culinary chops – he’s worked at Per Se and makes world-class charcuterie – to create a spirited, globe-trotting menu. The okra stew, studded with heirloom wheat, San Marzano tomatoes and cauliflower, satisfies vegetarians and meat eaters alike. Savory lamb sausage and a bright green stinging nettle sauce elevates the humble omelet to great new heights. Brunching at celebrated chef Maria Hines’ mainstay in Wallingford feels like eating with family in their charming home. The service is warm, and the dining room is cheerful, with bright green chairs and lots of natural light. The legendary mini duck burgers, topped with house-made ketchup, mustard, and red onion jam are not to be missed. As the name implies, you can have the best of both worlds at this casual spot by local chef Tom Douglas. Toppings for the oversized buttermilk biscuits range from peanut butter and bananas, to fried green tomatoes and rémoulade. If you’re seeking something on the lighter side, order a classic mozzarella pie. Oval-shaped and wood-fired, the surprisingly thin (yet sturdy) crust holds up beautifully to the tomato sauce, cheese, and fresh basil. Nab a seat by the window, so you can enjoy both sparkling views of the Elliott Bay and chef Joe Ritchie’s spot-on Pacific Northwest cuisine. Local seafood makes a strong showing on the brunch menu, with king crab omelets, grilled albacore salad, and smoked salmon benedict. But if you’re in the mood for more classic fare, try the lemon ricotta pancakes. Impossibly fluffy, buttery, and not-too-sweet, the stack just might be the most addictive brunch item in town. Eating terrific Vietnamese food shouldn’t just be limited to lunch or dinner. At this colorful and quirky restaurant in Capitol Hill, brunchers are rewarded with an array of treats served dim sum style, like steamed barbecue pork buns and lotus leaf-wrapped pork and shrimp sticky rice. Need something heartier? Get the ever popular drunken chicken. Salty, sweet, crunchy and soft, it’s the mash up of flavors and textures you crave when you’re recovering from a long night out. 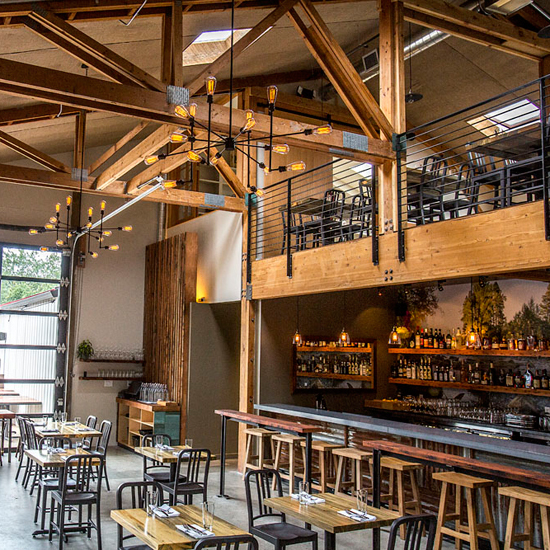 A Seattle institution, this cozy neighborhood nook is perfect for those looking for a more laid-back and casual brunch affair. Order simple but sublime dishes (like the daily quiche and banana French toast) at the counter, grab a seat, and wait until your name is called. Hungry but in a rush? No problem. There’s always a spot-on selection of baked-from-scratch goodies to go.